Regulators and consumer advocates alike are warning Americans about a growing number of credit repair scams nationwide. 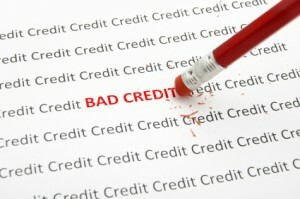 Recently, the Federal Trade Commission reached a $14.4 million settlement with a Florida-based credit repair agency, which made big promises to consumers and offered little in return. The FTC’s actions were part of a larger, two-year crackdown, called Operation Clean Sweep, in which the FTC has joined with 24 different state agencies to clean up the credit repair business. Since 2008, the FTC has charged at least 36 credit repair businesses with making bogus claims and/or cheating consumers out of money. 1. Exaggerated claims about results. Beware of any company that claims its services are “guaranteed” to work or that it can wipe out negative information from your credit report – even if that information is accurate. 2. Upfront payments before services rendered.Don’t ever fork over money to a credit repair business before they’ve actually performed services. It’s illegal for credit repair companies to demand such upfront payments. In the recent FTC case in Florida, which involved a company called Clean Credit, consumers were charged $400 in upfront fees. 3. Using illegal tactics. Some shady credit repair services will claim that they can enhance your credit rating by getting you a new Social Security number or new “Personal Identification Number.” Don’t ever do this. It’s against the law and you could wind up facing charges for such illegal activity. 4. “Government” e-mails or phone calls. Did you learn about the credit repair company via an e-mail or phone call that suggested it was a government-based program? It’s surely a scam. The government isn’t in the credit repair business. Fraudsters nonetheless frequently try to have official-sounding names or imply that they’re somehow linked to state or federal programs. Steer clear of these. Request a full refund if any company you paid doesn’t perform services as promised. Keep all receipts and document all correspondences. Also be sure to put your complaint in writing. If you don’t get results, report offenders to the Federal Trade Commission, the Better Business Bureau or your state attorney general. It is possible to achieve perfect credit – over time and through legitimate means.